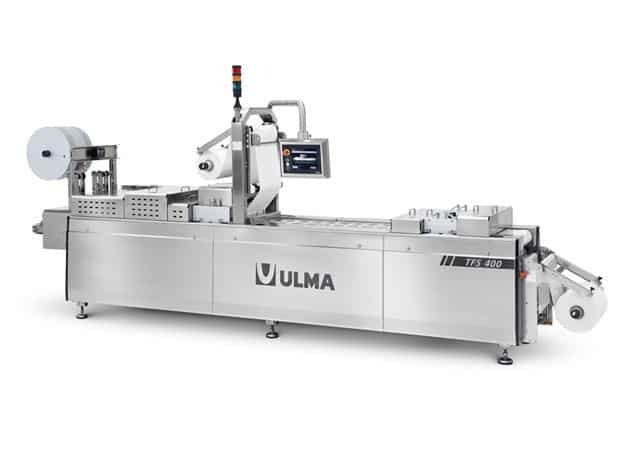 The TFS 400 is a thermoforming machine designed to pack food non-food or medical products. The package is created directly by the machine using two rolls of film. The film may be flexible or rigid. Vacuum with gas flushing is available as an option. Less product handling in the packaging process. The machine characteristics make it highly desirable for mixed production requirements since formats can be easily changed to meet the needs of the customer. It’s versatility, easy operation and quick size change also make it the right answer to your packaging needs. 3000 mm. main frame length. Top reel holder independent of the cabinet. Design criteria base on ISO 14159, EN 1672, 3A. Quick format change without tools. Automatic or easy format changing systems. Availability of different reel holder systems.